OSSC's signature "Wall of Paphs" was integrated into the display this year, forming the base of the mountain. 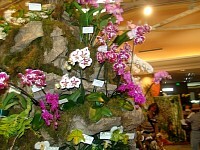 The display soared over 20 feet. 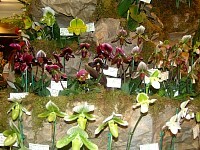 The orchids were nestled in crooks and crannies in the mountain. 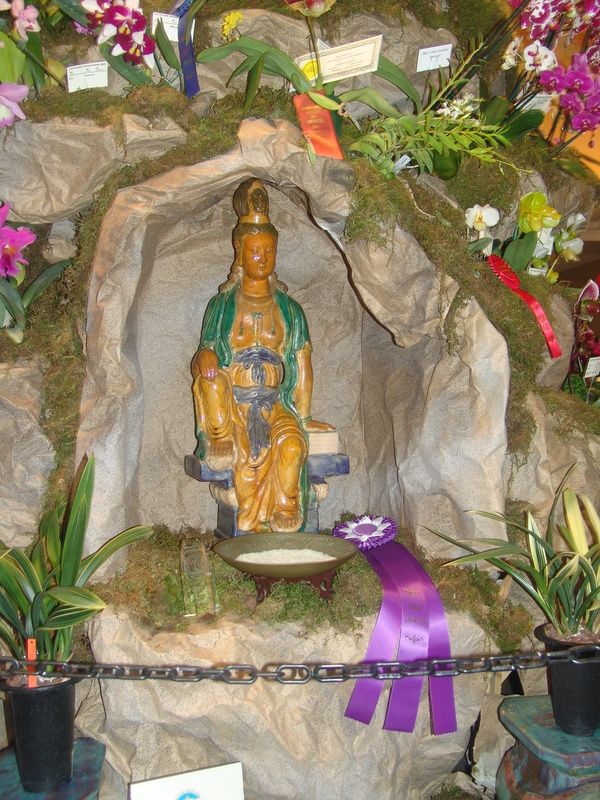 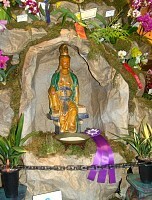 The statue of the Chinese goddess sits in a mountain cove. 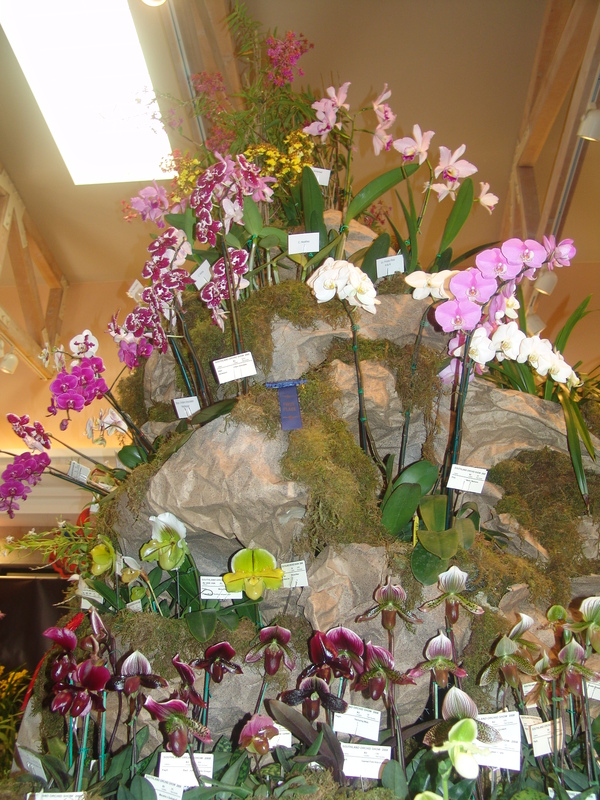 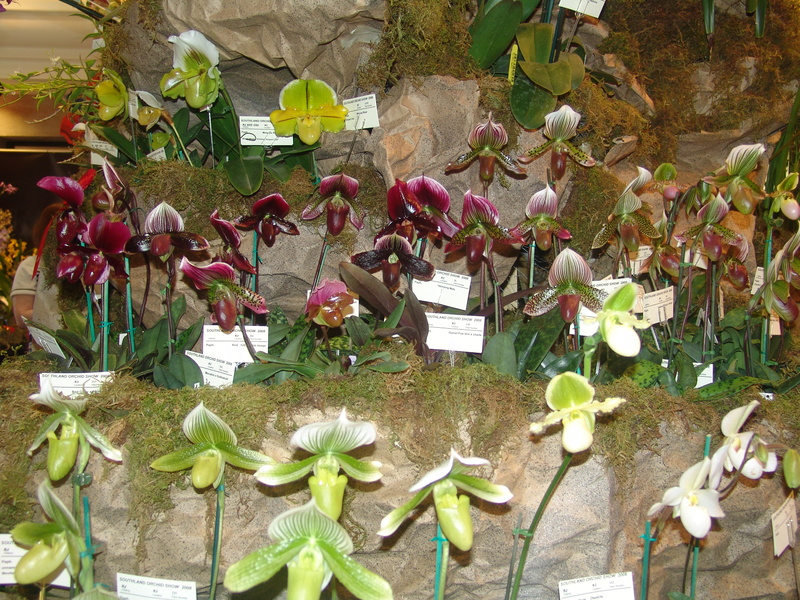 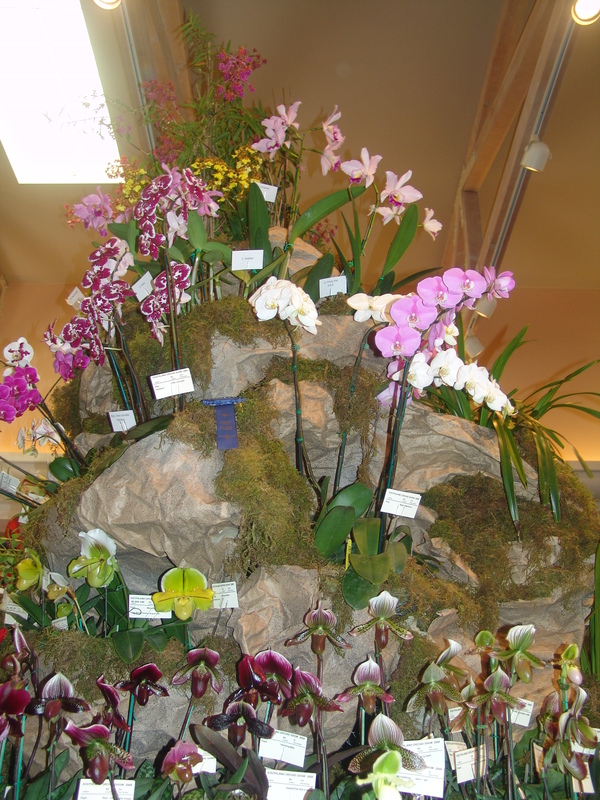 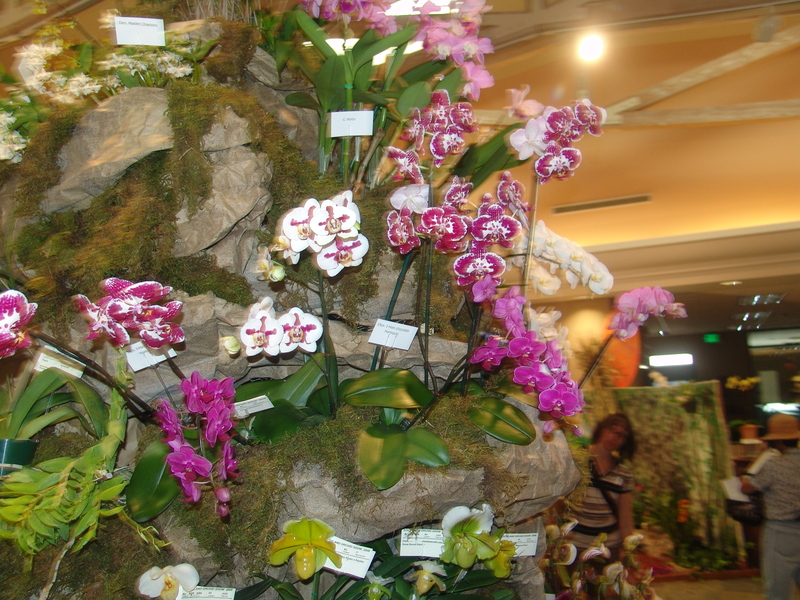 Notice the grouping of the orchids by color! 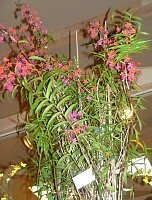 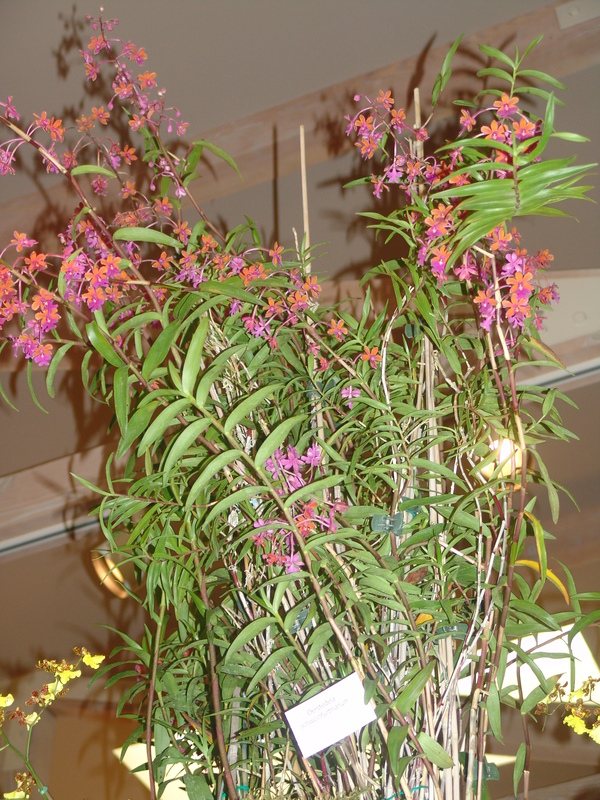 For the first time in memory, a plant in the OSSC display won the Grand Champion ribbon. High atop the display was Richard Rothschild's Oerstedela schweinfurthianum.